The Ethnicity of White Americans: Hidden or All-Pervading? In the U.S., whites are the dominant ethno-racial group. Interestingly, however, Doane (1997) and Nayak (2007) point out that this group has often been ignored in the race and ethnicity literature. As a result, Doane argues that the study of the dominant ethnic group in the United States has been underdeveloped, the ethnic hierarchy has not been adequately researched, the strategic use of the dominant role has lacked attention, and the evolution of this group has not been fully examined. As the group which has the most power to create, to maintain, and to influence the economic, political, and institutional structures, it is surprising that whites have tended to be overlooked when it comes to race and ethnicity. Yet, despite not receiving sufficient scholarly consideration, it is clear that this group has had their ethno-racial identities constructed over the years. That is, an examination of the ethno-racial identity formation process of white Americans helps to illustrate the significance of causal influences, the positive and negative consequences of this identity, and the contemporary importance of their ethno-racial identity. Unlike other groups in the U.S., white Americans have been affected by different causal factors when it comes to the development of their ethno-racial identity. Many of these factors are related to the historical dominance of whites in the United States. Since the arrival of Europeans to North America in the late 15th century, whites have been granted more power than other ethno-racial groups, first through a racial dictatorship and now through a racial democracy (Omi and Winant 1994). By dominating other groups and by turning white goals into American goals, white culture has become American culture (Doane 1997). This mindset has become so prominent, Doane surmises, that whites have developed a “hidden” or “minus-one” ethnicity. Because their political, labor, residential, social, and cultural advantages seem so natural, it is challenging for white Americans to realize their lofty status and to understand how they contribute to the persistence and reproduction of white hegemony. This idea is not, however, lost on minorities who are aware of the unequal distribution of resources in American society (Tajfel and Turner 1979). 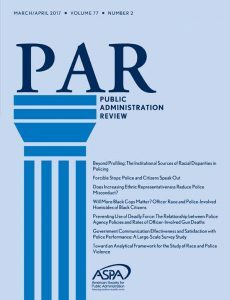 By acknowledging that whites have experienced far different causal influences on their ethno-racial identities than other groups, it is easier to evaluate the consequences. In one aspect, white Americans have significantly benefited from their dominant status. As Doane (1997) notes, whites have the ability to reproduce their power through political means and institutional discrimination, to delegitimize the ethno-racial identity of other groups by disregarding their own, and to use racial ideologies to explain the failings of others. As the dominant group, whites are further able to adopt prejudicial feelings, to not question short-sighted racist ideas, and to treat individual members of other groups as representative of that group (Blumer 1958). As a result, whites do not have to know what it is like to experience what Du Bois (2011) refers to as a “double-consciousness,” or the duality between being of a member of a minority ethno-racial group and an American. But, as the dominant group, whites do have to deal with perceived competition. This means that whites have been forced to expand membership to other groups and they have also been encouraged to take a reactionary approach to threats to their position. Unsurprisingly, this need to stay on top has undoubtedly contributed to racist realities like Jim Crow laws, a dislike for affirmative action policies, and a general desire to remain residentially segregated from other groups (Massey and Denton 1993). As for the thickness of the white ethno-racial identity, this is a bit more complicated than it is for other groups. 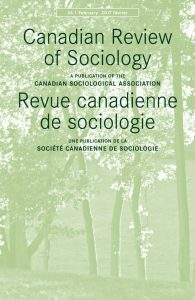 According to Cornell and Hartman (2007), a thick identity plays a large role in organizing the social life of individuals and collective action; a thin identity organizes relatively little in regards to social life and collective action. While, of course, the thickness of an identity varies across person, time, and place, it may be harder to determine the thickness for whites. The social, political, and economic dominance of white Americans means that it can be challenging to separate what it means to be American from what it means to be white. The hegemonic ideals surrounding whiteness suggest, however, that whites’ ethno-racial identities are actually extremely thick even though they may appear to be very thin. As Doane (1997) points out, most whites have no clue just how thick these identities are in their lives. Still, while the salience of their ethno-racial identity may appear muted to whites, it is actually an extremely omnipresent force that is clearly visible to non-whites. Overall, it appears that because of the dominance of the early Western Europeans to this country and the continued dominance of later generations of whites in the U.S., white Americans have developed an ethno-racial identity that acts as a constant lifeline but remains hidden from their view. By not having to live behind a “veil” of differentness (Du Bois 2011), whites do not understand how the consequences of this identity benefit them and harm others. By (often unknowingly) sitting at the top of the ethno-racial hierarchy in a racial state that favors them (Omi and Winant 1994), whites continue to occupy a powerful position that appears so hidden that it is almost invisible. Yet, as Doane (1997) notes, this ethno-racial identity impacts their lives and the lives of others in almost every way imaginable. In fact, the conflict over unequal resource distribution contributes to a constant antagonism between whites and non-whites in the U.S. (Tajfel and Turner 1979). And, unfortunately, this reality seems to hold true whether or not white Americans even realize it. Blumer, Herbert. 1958. “Race Prejudice as a Sense of Group Position.” Pacific Sociological Review 1(1):3-7. Cornell, Stephen and Douglas Hartmann. 2007. Ethnicity and Race: Making Identities in a Changing World, 2nd ed. Thousand Oaks, CA: Pine Forge Press. Doane Jr., Ashley W. 1997. 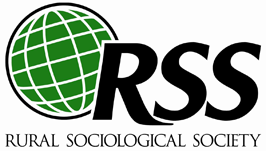 “Dominant Group Ethnic Identity in the United States: The Role of ‘Hidden’ Ethnicity in Intergroup Relations.” The Sociological Quarterly 38(3):375-397. Du Bois, W.E.B. 2011. The Souls of Black Folk. New York: Tribeca Books. Omi, Michael and Howard Winant. 1994. Racial Formation in the United States: From the 1930s to the 1990s, 2nd ed. New York: Routledge. Nayak, Anoop. 2007. “Critical Whiteness Studies.” Sociology Compass 1(2):737-755. Tajfel, Henri and John Turner. 1979. “An Integrative Theory of Intergroup Conflict.” Pp. 33-47 in The Social Psychology of Intergroup Relations, W.G. Austin and S. Worchel (eds.). Monterey, CA: Brooks-Cole. Until I read this, I’d never even thought about the fact that an article on this topic had never crossed my path. I think I’ll have to tackle that reading list! Hi Patrick. Another good source is a book called “White Out: The Continuing Significance of Race.” It contains a number of really interesting chapters on the growing field of whiteness studies.